Born and raised in the United Kingdom, Natalia Tena has worked in film and television and on the stage, while also entertaining audiences as the lead singer and accordion player in the pop jazz band Molotov Jukebox. Tena made her professional debut opposite Hugh Grant in the film “About a Boy,” but is perhaps best known for her role as Nymphadora Tonks in the “Harry Potter” franchise. Her additional film credits include “Mrs. Henderson Presents,” “SuperBob” and “10,000 Km,” for which she earned a SXSW Special Jury Award, Best Female Lead at the Gaudi Awards, and Best Actress at the Malaga Spanish Film Festival. Tena’s stage credits include “Othello,” on tour with the Royal Shakespeare Company, “Gone to Earth” and “Bronte” with Shared Experience, and “Nights at the Circus” with Kneehigh. Tena is relocating from London to Los Angeles to film WISDOM OF THE CROWD. When not working, she loves reading, cooking, especially lasagna, and jogging. Tena is fluent in Spanish and holds a dual citizenship with the United Kingdom and Spain. Her birthday is Nov. 1. 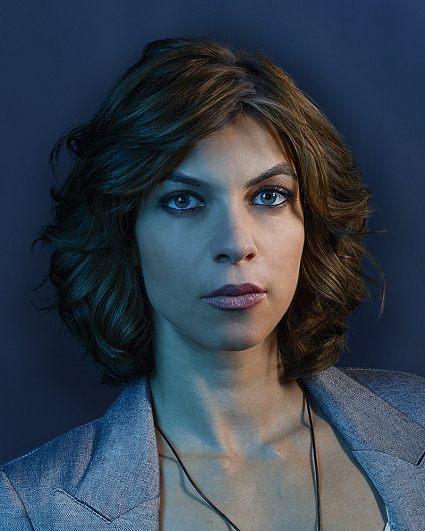 She can be followed on Twitter @NatTenaLady and Instagram @Natalia_Tena.